Spindle Repair Training - Spare parts, tensors, capsules, belts, spindle repair, yarn markers, and more for OEM Volkmann, Verdol / ICBT, Superba, and Suessen Textile Machinery by Epic Enterprises, Inc.
Keep Track of Our Upcoming Events, as well as Our Advances in Your Equipment Needs! 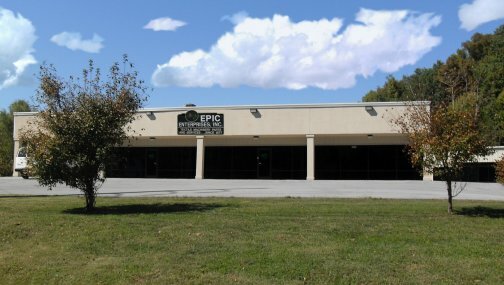 EPIC ANNOUNCE NEW LOCATION FOR EXPANDED WAREHOUSE IN DALTON, GA.
location opened December 1, 2004 and has been very well received by customers. Increased business has prompted the firm to move and expand. The new warehouse is located next door in the same complex, and is twice the square footage of the original warehouse. Ed Crenshaw, President/Owner, says “The expansion will allow the North Carolina firm to stock more items driven by customer demand in that area”. The new address is 1219 Coronet Drive, Dalton, GA 30722. Phone, fax, and email will remain the same. Epic has provided quality parts and services to the textile industry worldwide for nearly 39 years. The company expresses sincere gratitude to customers for their business.